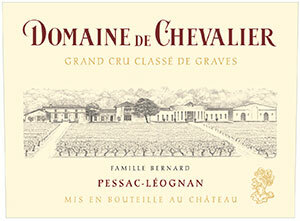 A glorious wine from Domaine de Chevalier, this 2005 reveals notes of graphite, subtle charcoal, blackberry and blackcurrant fruit, a medium to full-bodied mouthfeel, silky tannins, and a long, multi-dimensional finish. This is a killer effort from the Bernard family, who own this famous terroir in Pessac-Léognan. Drink it over the next 20-30 years. Drink: 2015 - 2045. The Domaine de Chevalier 2005 has a powerful and quite burly bouquet with sumptous black fruit laced with truffle, cedar and a touch of juniper berry. The palate is medium-bodied with very fine tannins. This is an effortless Graves, beautifully proportioned with the oak seamlessly integrated. It builds in the mouth and fans out wonderfully with a kiss of black pepper on the structured, masculine finish. Clearly, this is one of Olivier Bernard's finest achievements under his reign.